The High Court has ruled that OFCOM did not breach a DJ’s freedom of expression rights by finding that he contravened the Broadcasting Code after calling a guest a “Nazi” during an interview on talkSPORT. The decision by the regulator led to the DJ’s sacking. Jon Gaunt applied for judicial review of the decision by OFCOM that he had breached rules 2.1 and 2.3 of the Broadcasting Code. Liberty supported his claim. He argued that OFCOM’s decision amounted to a disproportionate interference with his freedom of expression and an infringement of his rights under Article 10 of the European Convention on Human Rights. The case related to a 2008 interview with Michael Stark, the Cabinet Member for Children’s Services for Redbridge London Borough Council, on the council’s controversial proposal to ban smokers from becoming foster parents on the ground that passive smoking has a propensity for harming foster children. Mr Gaunt, who had himself been in care as a child and had then had foster parents, strongly opposed this proposal. He wrote a highly critical newspaper article published in the Sun newspaper on 7th November 2008 on this topic under the headline “Fags didn’t stop my foster mum caring for me“. 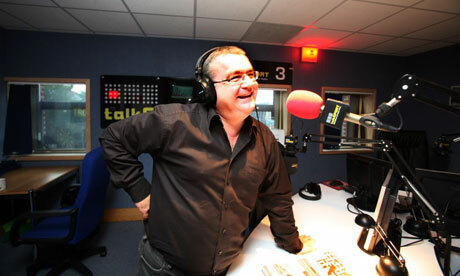 Later that day the claimant conducted a live interview with Mr Stark on the radio station Talksport. Gaunt asked him about existing foster parents who only ever smoke in the open air. Mr Stark explained that the council would not drag children away from existing foster parents, but that such smokers would not be used in the future. The trouble was that such people do smoke in the house. Asked by the claimant how he knew this, Mr Stark explained that there were Redbridge councillors who say they never smoke in the building, but in fact do so. To which the claimant said “so you are a Nazi then?”. It is scarcely possible to convey the general and particular tone of this interview in a short written summary, and the full transcript is in this respect incomplete. You have to hear it for its full impact. As we have said, it degenerated into a shouting match from the point when the claimant first called Mr Stark “a Nazi”. That first insult was not said with particular vehemence, but “you ignorant pig” was said with considerable venom and was we think gratuitously offensive. The interview as a whole can fairly be described as a rant. … the tone of the interview degenerated from that point, partly because Mr Stark understandably took offence and because the claimant’s conduct of the interview became increasingly abusive, hectoring and out of control. The claimant’s subsequent uses of the word “Nazi” undoubtedly assumed the nature of undirected abuse. The expression “ignorant pig” had no contextual justification at all and was said with such venom as to constitute gratuitous offensive abuse in the sense we have indicated. The claimant lost control of the interview – “I didn’t hold it together” – and, as he had admitted, lost his rag. The later part of the interview became abusive shouting which served to convey to listeners no real content at all. In these circumstances, and taking full account of the claimant’s Article 10 rights, we consider that OFCOM were justified in their conclusion, the terms of which we have quoted in paragraph 11 above. The broadcast was undoubtedly highly offensive to Mr Stark and was well capable of offending the broadcast audience. The essential point is that, the offensive and abusive nature of the broadcast was gratuitous, having no factual content or justification. In the result, we accept Mr Anderson’s submission that the Amended Finding constituted no material interference with the claimant’s freedom of expression at all. An inhibition from broadcasting shouted abuse which expresses no content does not inhibit, and should not deter, heated and even offensive dialogue which retains a degree of relevant content.